﻿Wyland W. Hopkins is a retired US Army Lieutenant Colonel having served twenty-two years on active duty. 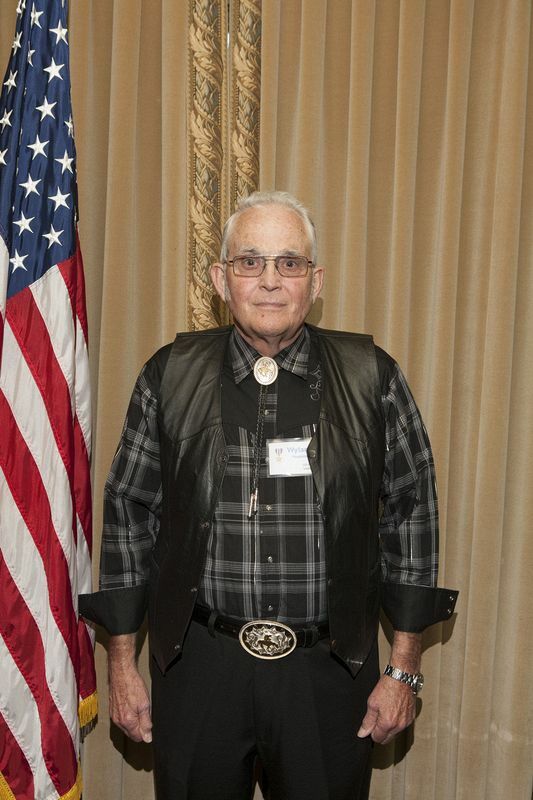 He received the nation’s third highest award for valor, the Silver Star Medal, for gallantry in action while serving with the Americal Division in the Republic of Vietnam. While serving as Company Commander on March 11, 1969 his unit’s position came under heavy enemy assault. With complete disregard for his personal safety he crawled through the hostile fire to retrieve a radio from a soldier who was mortally wounded. During this effort he was severely wounded. Despite his wounds, he exposed himself for three hours to the hostile fire in order to direct supporting fire against the enemy positions. Through his timely and courageous actions, he was responsible for repelling the enemy attack. Colonel Hopkins was awarded the Bronze Star Medal with Valor for his heroic actions on February 27, 1969. On that date he left his secure bunker position, and with complete disregard for his personal safety, rushed to aid a wounded comrade. Despite hostile fire impacting all around him, he carried the wounded soldier to an area where medical aid could be rendered. Colonel Hopkins has been a resident of Hazel Green for the past twenty-one years and is employed by SAIC.